The ultimate red tulip. 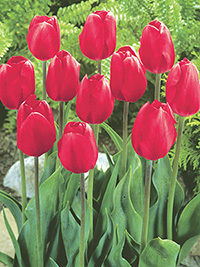 Sure to make an impact in your garden with its deep scarlet-red petals. Very strong, reliable and large flowered. A great cut flower. Early season flowering, 50 cm tall.